Essence Magazine proclaimed it “the greatest hair show on earth.” It is Hairisma, the 13th Annual Golden Scissors professional hair stylists’ competition. In a dramatic runway show that pulses with music and energy, hair stylists from across the country vie for a $10,000 grand prize provided by Milky Way 100% human hair products. Expect a show filled with fun, drama, and as always, absolutely amazing hair. Stylists are encouraged to give their imaginations free rein. Early reports from the field indicate that hair will be colored from caramel to peacock blue, swept up or swinging, perhaps even remote controlled, battery-operated, woven, twisted, braided, glued and lacquered to heights of three feet or more. Vocational Show starts at 5 p.m.
Golden Scissors Professional Show begins at 7 p.m. 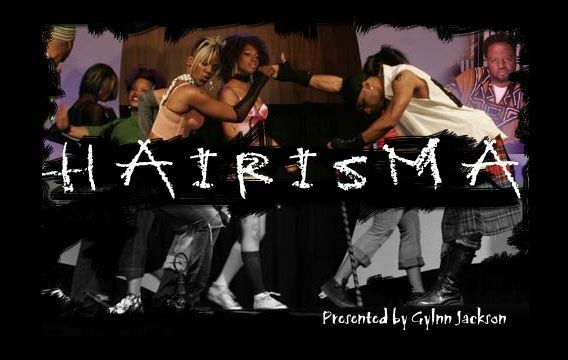 Produced by Glynn Jackson, the Washington, D.C. impresario who successfully created the concept of Golden Scissors more than a decade ago. Expected to attend are Oscar James, hair designer to stars Vanessa Williams, Tyra Banks and Iman, and Hair Care Educator Barry Fletcher, author of Why are Black Women Losing Their Hair and stylist for such artists as Tina Turner and Halle Berry. Sponsored by Pantene® Relaxed & Natural, in conjunction with Clairol® Textures and Tones, Milky Way 100% Human Hair Products, SoftSheen Carson, Chartered Health Plan of Washington D.C., Organic Root Stimulator and Joya Cosmetics. Available on line at http://www.goldenscissorsawards.com or through Ticketmaster. Prices are $50 in advance, $60 at the door, and $150 for the VIP section. For interviews with Glynn Jackson or complimentary passes (to accredited journalists only), contact Anthony Tilghman, 240-354-1605.